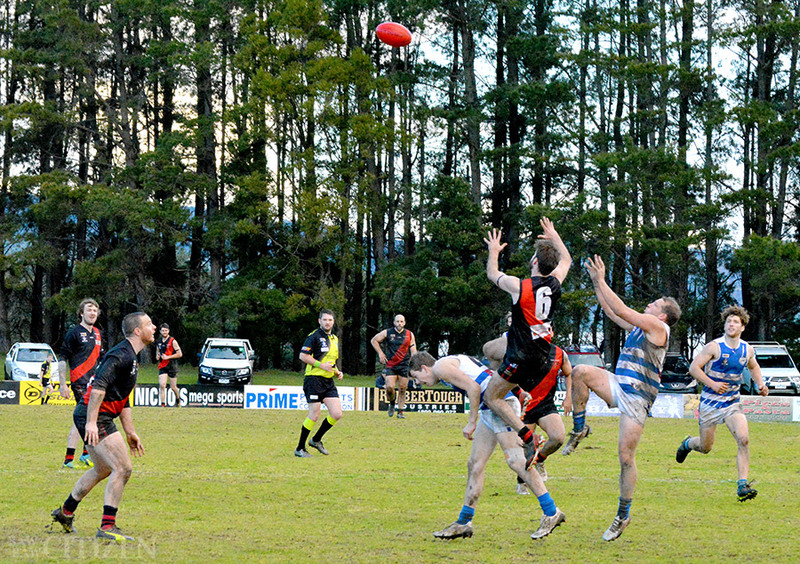 EDFL • Nilma Darnum Seniors have been encouraged by the team’s strong home victory over Neerim-Neerim South on the weekend. First published in our 16 August 2018 print edition! Get your FREE copy from retailers across Baw Baw. The Bombers scored 10.60-69 to the Cats’ 6.8-44 in wet conditions. Nilma Darnum coach Matt Shorey was pleased with the team’s progress. “I’m proud of the group,” Matt told the team after the game. “To see you guys, the way you reacted at three quarter time against that little bit of breeze and the way you were working the ball, we’ve just got to remember there’s a couple of little things we’ve just got to get better at. I know that it’s going to come, I can see it coming. “I’m super happy for the club to sing the song again, it has been a long time. But as I said to you last week, I want two more wins. I’ve been saying all year that we need one scalp, and I’ll tell you now, the way you guys played that last quarter, if we can take that to the Dusties and take a few risks… it’s game on. Nilma Darnum footy manager Joel Wishart was also celebrating the win in a largely frustrating season for the team. “Patchy again though, we’ve been patchy for a lot of the year,” Joel continued. “We were better than we have been for a long time. We’re a bit more composed and made them come to us a lot more. Happy to get the win. Great work Darno’s. Wins always help the players and club.